QID : 1 - Find the average of all prime numbers from 1 to 50. QID : 7 - If the side of a square is increased by 20%, then what will be the percentage increase in its perimeter? QID : 8 - The ratio of salary of X, Y and Z is 15 : 3 : 8. If Z gets Rs 3960 more than Y, then what is the salary (in Rs) of X? QID : 9 - In a mixture, sugar and milk are in the ratio 4 : 5. If 7 litres of milk is added to it, then the ratio of sugar and milk in the new mixture becomes 2 : 3. What is the total quantity (In litres) of sugar in new mixture? QID : 10 - A boy spends Rs 20 to purchase toffees at Rs 1 each. Next day, he purchased some toffees for Rs 40 with a discount of 50 paise per toffee. What is the average price per toffee (in paise)? QID : 11 - Simple interest on a sum of Rs 6800 for 18 months is Rs 2244. What is the rate (in percentage) of interest per annum? QID : 12 - On selling 56 chairs, Mohan earns profit equal to the selling price of 6 chairs. What is the profit percentage? QID : 13 - The marked price of an article is Rs 1200 and retailer gets a discount of 25%. If he sells that article for Rs 1200, then what is the profit percentage of retailer? 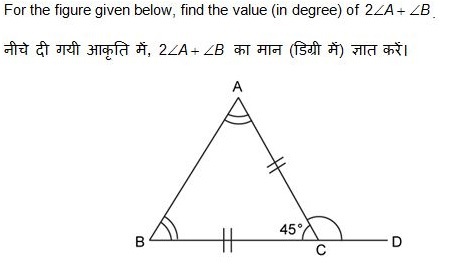 QID : 14 - If √20 + √125 = 15.65, then what is the value of √45 + √5? 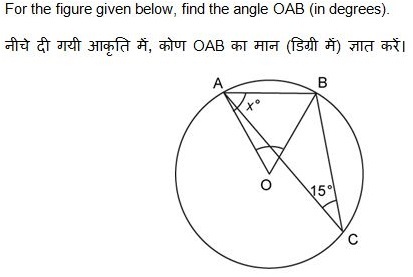 QID : 15 - Both A and B together can complete a work in 20 days and B alone can complete the same work in 36 days. In how many days will A alone complete the work? QID : 16 - A train moves at the speed of 40 m/s and crosses a bridge of length 550 metres in 25 seconds. What is the length (in metres) of the train? Which party has the second highest seats? If the data shows the seats of all the parties then the lower house of parliament has how many seats in total? 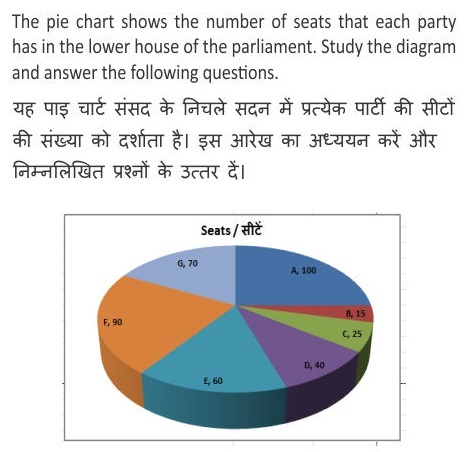 The measure of the central angle of the sector representing number of seats of party F is ________ degrees. If parties D, E and F form a coalition they would be still short of how many seats to reach the half way mark? QID : 21 - If the lengths of the two parallel sides of a trapezium are 4 cm and 6 cm and its area is 25 cm². Find the distance between its parallel sides (in cm). QID : 22 - If the circumference of a circle is 44 cm, then what must be its area (in cm²)? QID : 23 - The volume of a hemisphere is 5749.33 cm³. Find its diameter (in cm). QID : 24 - ∆PQR is right angled at Q. If m∠P = 45°, then find the value of (cosecR + 1/3). QID : 25 - In ∆PQR measure of angle Q is 90°. If cosP = 5/13, and PQ = 2.5cm, then what is the length (in cm) of side PR?